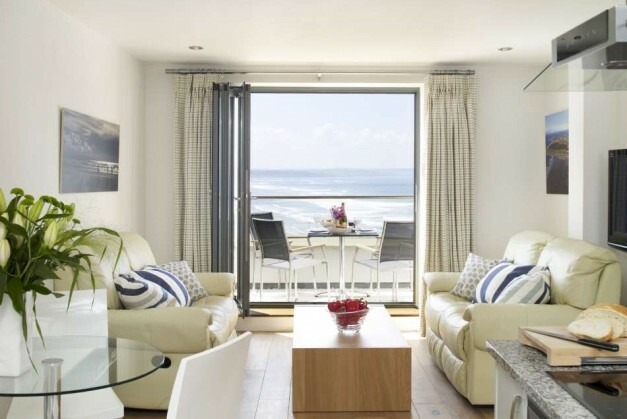 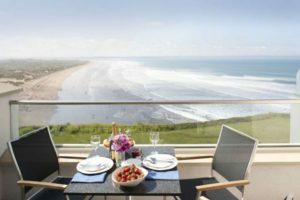 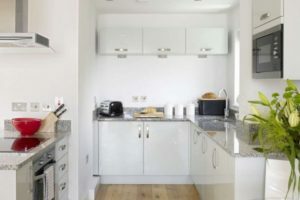 This amazing holiday apartment has wonderful sea views across the whole of Saunton Sands and we were asked to reflect that in the interior design. 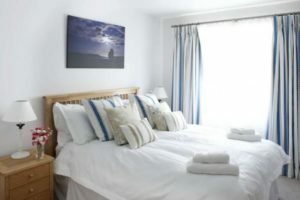 We put together a fresh modern coastal design using a selection of fabrics and furnishings in blue coastal stripes from Linum and shell weaves and prints from Baker Lifestyle. 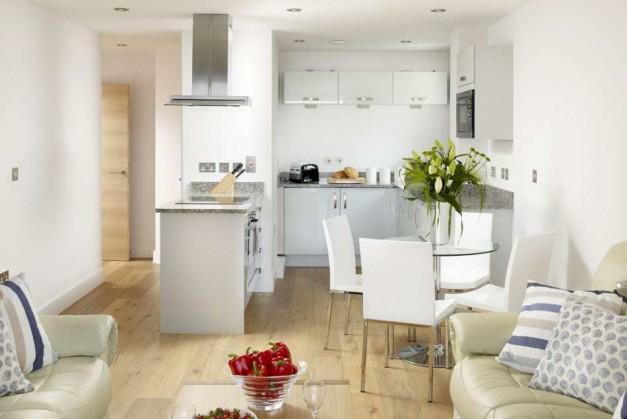 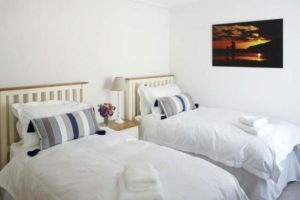 The property was to be used as a holiday let and we furnished and accessorised the property to English Tourist Board 4 star status supplying everything needed to make for a comfortable and luxurious stay by the sea.